These brownie cheesecake bars are the best of both worlds. The base is a chocolate brownie – either made form scratch or you can use a box mix. Then there’s a layer of smooth, creamy cheesecake. The perfect decadent dessert! This brownie bottom cheesecake just might be my new favorite dessert. 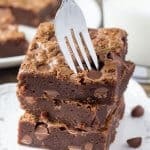 The “crust” is a fudgy chocolate brownie for all the chocolate lovers out there. Then there’s a layer of smooth, creamy, tangy cheesecake. 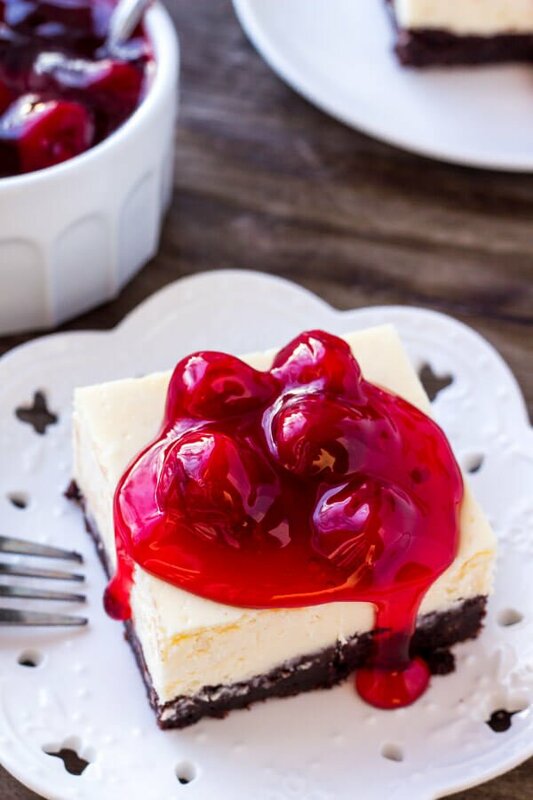 The tanginess of the cheesecake perfectly compliments the rich brownie. And if you can’t decide between chocolate cheesecake or plain cheesecake – then this brownie cheesecake is for you. I’ve actually been dreaming about making cheesecake for weeks. (Yes… weeks). So I was sooo happy when I went to the grocery store and saw cream cheese on sale. Clearly, it was destiny. 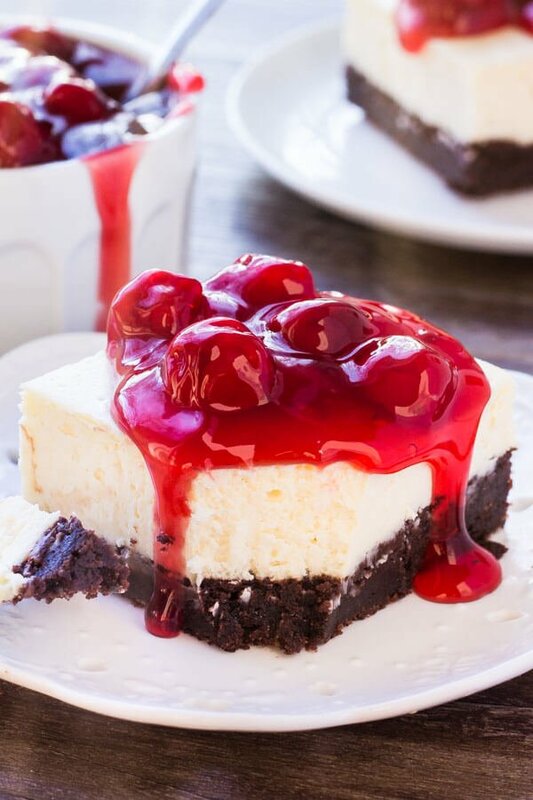 So after some cheesecake experimentation – here’s how to make this brownie cheesecake. Ok – so let’s talk specifics about this brownie cheesecake. We start off by making the fudgy brownie layer from scratch. 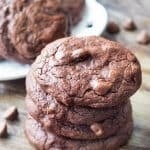 It’s a simple brownie recipe using melted butter and cocoa powder – so there’s no fancy ingredients. First melt the butter, then mix in the sugar and cocoa powder. Pour the batter into the prepared pan, and bake for 20 minutes or until the top looks just set. 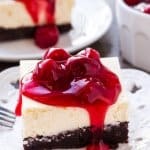 You can make this brownie cheesecake with boxed brownie mix. Simply prepare the mix according to the package instructions – then pour into the prepared pan and bake for 20 minutes. While the brownies are baking – it’s time to make the cheesecake layer. The most important “rule” when making cheesecake is to make sure all the ingredients are at room temperature before getting started. This ensures your batter is smooth without lumps, and you don’t have to over mix your batter. 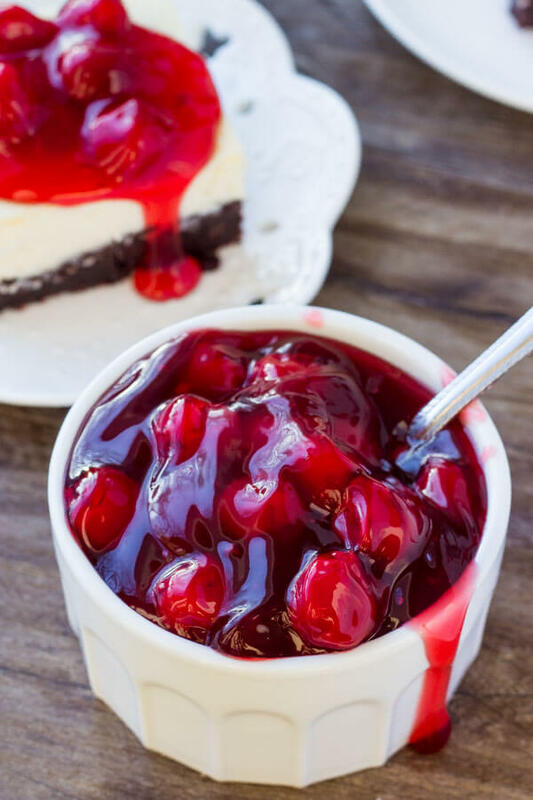 Over mixing cheesecake can cause cracks because too much air gets into the batter. First beat together the cream cheese and sugar until soft. Then mix in the sour cream, vanilla & salt. Finally, mix in the eggs – be careful to only mix until just combined. Once the brownie layer is done baking, remove it from the oven – leave the oven turned on. Then pour the cheesecake layer over top, return to the oven and continue baking. 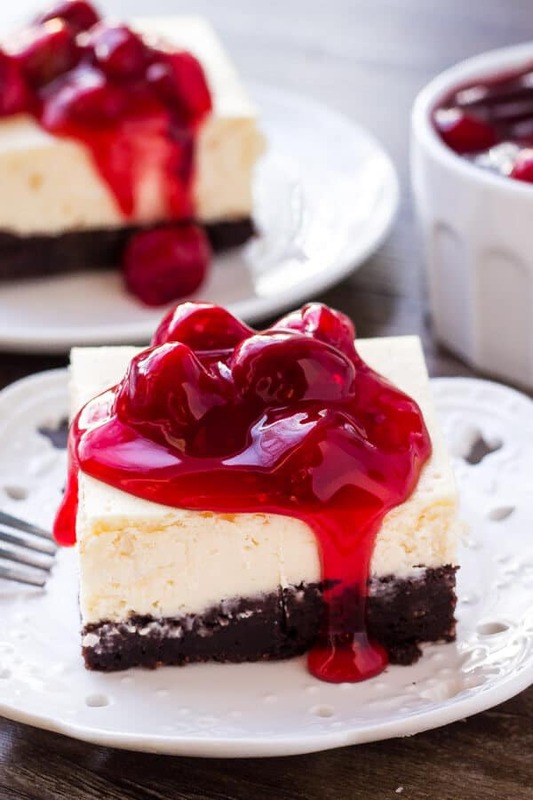 When the cheesecake is done baking, it should still have a slight wobble in the middle and the top should look set – except for in the very middle where it’ll look almost set. To avoid cheesecake cracks, it’s also super important cool the cheesecake slowly. First turn off the oven, open the oven door and allow to cool for about 30 minutes. Then continue cooling at room temperature until the pan doesn’t feel hot anymore. This is when the cheesecake gets placed in the fridge to chill. Chilling a cheesecake is soooo important because the flavor and texture actually improve over time. For this brownie cheesecake, I made it the day before I planned to serve it. Which meant the day of, all I had to do was slice and top with fruit. Also – if by chance your cheesecake ends up with cracks, don’t despair! 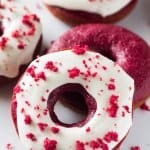 You can top it with cherry pie filling, whipped cream, or fresh berries – and no one will no the difference. It’s like magic – delicious brownie cheesecake magic. These brownie cheesecake bars are the best of both worlds. The base is a chocolate brownie - either made form scratch or you can use a box mix. Then there's a layer of smooth, creamy cheesecake. Line a 9x13 inch baking pan with aluminium foil and lightly grease. In a large bowl mix together the melted butter, sugar, cocoa powder and salt. Stir in the vanilla extract and eggs. Pour the batter into the prepared pan and bake for 15-20 minutes, or until the top is just set, but still shiny. (It will still be wobbly). Remove from the oven. As the brownie is baking, make the cheesecake layer. Beat together the cream cheese and sugar until soft. Mix in the sour cream, vanilla & cornstarch. Turn off the mixer and scrape down the sides of the bowl. With the mixer on low, carefully beat in the eggs until just combined. Spoon the batter overtop of the baked brownie layer, and spread evenly. Be careful, the pan will be hot. Place in the preheated oven and bake for 30-35 minutes or until the top is just set and has a slight wobble when you nudge the pan. Turn off the oven, open the oven door and cool in the oven for 30 minutes. Take the cheesecake out of the oven and cool until it reaches room temperature. Wrap the pan with clingfilm or aluminium foil and chill in the fridge for at least 4 hours or overnight. 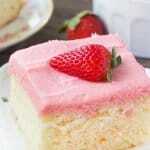 Cut into slices and top with pie filling or fresh fruit to serve. *If using boxed brownie mix, prepare the brownie according to package instructions and then continue with step 6.